A new week and an exciting blog tour to kick it off. 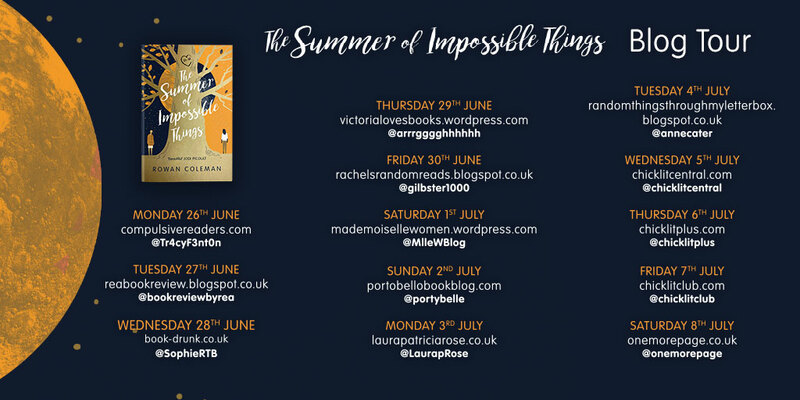 Today I am thrilled to be hosting Rowan on the blog telling us all about where the idea for The Summer of Impossible Things came from. The idea for The Summer of Impossible Things first came to me when I watching Saturday Night Fever, a movie that I love and that is very part of fabric of this book. As I was watching, I found myself looking round the lead actors, and trying to see the world behind, because I knew that it was filmed on location in Brooklyn in 1977. In a way, I thought to myself it’s a kind of time travel in itself, capturing a particular place and moment in time forever. A curious person, I went away to read a more about Bay Ridge in Brooklyn 1977 and I discovered that it was an unexpectedly fascinating place. Son of Sam was stalking the streets, the city was in the grip of a state wide heat wave, building up to the infamous New York Black Out of July 1977, the mafia controlled the neighbourhood dispatching anyone that got in the way at murder factory, the Gemini Lounge, with terrifying efficiency. And in amongst all of this Saturday Night Movie was being shot and was about to pitch this small blue collar neighbourhood into the limelight, making it and its popular neighbour nightclub Odyssey 2001 the centre of the disco universe. This was a world that I wanted to put characters into, a world that I wanted explore and inhabit, but through the eyes of a twenty-first century person and that’s when the idea for a time travel novel was born. Now you might be thinking, time travel? This isn’t what I expect from Rowan Coleman, and you’d be right. I’ve never written a novel like this before. But I do like to think that there is always an element of the magical and the unexplained in my fiction, and more than that, ‘The Summer of Impossible Things’ deals with the subjects that are so close to my writer’s heart. How every ordinary person has the potential to be extraordinary How women have the kind of resilience and strength that can defeat anything. And how Love can change the world. So buckle up, prepare for an exciting, unexpected roller coaster rise, and I hope you enjoy reading ‘The Summer of Impossible Things’, as much as I did writing it.